Q: I am currently using your free trial version to see if it will work with an application I am working on. I am having a problem with using it in cross-frames mode when the frame that the sub menu appears in has a vertical scrollbar. Basically I have a header frame and a large content frame below it. The menu itself is appearing in the header frame and the sub menus are dropping down and appearing in the lower frame. There is a vertical scrollbar in the lower (content) frame and when I scroll down, the sub menus get scrolled off the screen. This is because they are being rendered at the very top of the content frame and disappear when the top of the frame is no longer visible due to scrolling. Setting the floatable = 1 attribute does not work because the menu itself is not being scrolled off the screen, just the sub-menu drop down is being scrolled off. Is there anything I can do to make this work with my framed application? Thank you for your time. A: Unfortunately submenus won't float in cross-frame mode. 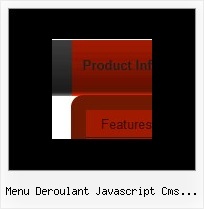 Deluxe Menudoesn't have such feature now. Q: Can dhtml menu scripts be integrated into Expression Web?